North Korea has conducted its most successful submarine-launched ballistic missile test to date, in a display of its rapid advances in weapons technology amid heightened tension on the Korean peninsula. The missile was launched early yesterday from a submarine base in the North’s coastal city of Sinpo, Seoul’s joint chiefs of staff and defence ministry said, flying about 500km towards Japan. The SLBM landed in Japan’s air-defence identification zone, sparking strong protests from prime minister Shinzo Abe. “It is a grave threat to Japan’s security and an unforgivable act to regional stability and peace,” Mr Abe told reporters. South Korean President Park Geun-hye held a national security meeting to discuss how to respond to the launch. Seoul’s foreign ministry condemned the launch, saying it was a violation of UN Security Council resolutions and would only bring further isolation and tougher international sanctions. The launch came two days after the US and South Korea began one of their largest ever joint military exercises; an annual drill that the North views as an invasion rehearsal. 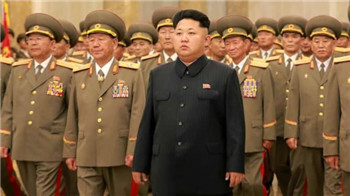 Pyongyang has threatened a “pre-emptive” attack on South Korea in response to the two-week manoeuvres. “This provocation only serves to increase the international community's resolve to counter the DPRK’s prohibited activities, including through implementing existing UN Security Council sanctions,” the US Pacific Command command said in a statement. Military experts have raised concerns over the rapid missile technology development demonstrated by the latest launch. Only six countries including the US, Russia and China have mastered SLBM technology. While North Korea fired such missiles twice this year, in April and July, they flew only 10km and 30km respectively. The country has fired various other missiles this year, including an intermediate-range ballistic missile earlier this month that crashed just 250km short of the Japanese coast. Mr Moon said the launch showed that North Korea would be able to install SLBMs in real military settings this year, much faster than South Korean military officials’ previous expectations of at least two years. Yesterday’s missile launch came ahead of a trilateral meeting of Chinese, Japanese and South Korean foreign ministers in Tokyo. It also coincides with heightened tensions on the Korean peninsula following the defection last week of North Korea’s deputy ambassador in London.